We are getting close to the end of National Poetry Month and I thought I’d do a little check in and tell you where my poetry reading has taken me. While I haven’t been to any of the local poetry events I had mentioned in my earlier poetry post this month, I’m still hopeful of going to Malvern Books before the end of the month. All of their poetry books are at 20% off and they have a fabulous selection. I have however been paying attention to my inbox for the poem-a-day from the Borzoi Reader. This has been a good year – I’ve been printing several of the poems and will be adding them to my poetry journal. In case you’ve missed these daily gems, you can see them all here. Some of my favorites have been “In The Same Space” by C.P. Cafavy, “God Breaks the Heart Again and Again Until It Stays Open” by Sandra Cisneros, “Nurse’s Song” by William Blake and “Reminder” by Marie Ponsot. I have finished an Everyman’s Library Poems collection by Langston Hughes and absolutely loved it. Some of the poems I felt like were songs and could easily imagine them being interpreted in dance or musical form. And, some of the poems made me sad and angry at the injustices. If you’ve not read anything by Hughes I highly encourage you to pick up one of his books. So what poems have you discovered? Or have you gone back to read some favorites during this month? I hope to read something by Hughes soon. I can’t remember reading his work before, but if I did it was ages ago. I like many of Hughes’ poems, but Harlem is the one that always comes to mind first. I’d like to read a biography and/or more about the Harlem Renaissance–a time of such creative energy. I’ve also noticed that many photographs of Hughes show him smiling or laughing. I love Knopf’s daily poetry email. There have been some really good ones! I just finished a really good collection called Whereas by Layli Long Soldier. 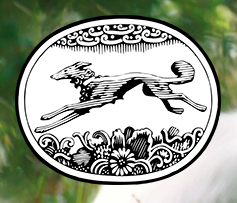 I need to check out the Borzoi Reader!